Boxing Day Deals kept piling up in our shopping cart today but that’s OK we planned to pick up some great deals and we did. Not everyone fancies going out for boxing day but for us we were pretty sure it would save us some money. I’m guessing many of the people working on boxing day were just as anxious to pick up deals. Our cashier at Canadian Tire told us that she wants to pick up a few things after her shift if there’s anything left. There was a great deal today spend $60 and get a $15 spending card so I don’t blame her. They were pretty much throwing money back at us and we used every bit of it. We planned to be at Sears for 6 am when they opened but that didn’t happen. Laziness kicked in and we just didn’t give a toss when we got there because we thought if we find what we want great but we’re not running out at stupid-o-clock for a deal. We finally made it out by noon with a Tim Horton’s coffee in hand and made our way to the mall, Sears, Value Village and Canadian Tire. I personally don’t see the difference opening so early and why regularly scheduled hours are any different. The customers will come whether it’s 6 am or 9 am because if there’ s money to be saved they will come knocking. Since we are away on holiday for Christmas we won’t be buying any food this week. We also will be taking home tonnes of leftover food from the relatives that will keep us going for a few days. There’s nothing wrong with leftovers in our house. We ate some pretty awesome food this week including a panettone eggie bread with maple syrup. If you want this elegant holiday recipe keep an eye on the blog so you don’t miss it. This is the final grocery game challenge post for December 2012 and I’ll be posting the winner in first grocery game post for January. If you read the grocery game rules again you will see I made changes to the template. I added in some other figures that Mrs.CBB and I want to track for 2013. I typically ask for the posters to copy paste the template at the end of their shop so I can see the numbers. This is not only for me and other fans but for you to track your progress all year-long. I can’t believe almost an entire year has passed since we start posting the grocery game. I’ve had some amazing fans jump aboard and post their shops with me to help them stick to their grocery budget. So many people would email me to ask me the same question “how much should my grocery budget be?” and the answer is simple.. depends on your overall budget and what’s left after paying your fixed costs. I know with 2013 just around the corner that our budget will increase for food which means we will work even harder this year to come up with frugal recipes along with sticking to the budget. I hope you hop on board with all of us. Tell your friends about the grocery game so they too can save money in the budget. This is the place where we motivate each other to stick to the second highest cost in the household, groceries. Overall: We spent under budget this month but that’s ok as we know we spent more on groceries over the course of the year than we should have. I’ll have the final numbers in an upcoming post as well as our plan for 2013. It’s going to be a better year for us now that we know our spending habits. How about you? I still had $26.77 left of my $450 monthly budget. I was worried that I had gone over! My grocery budget for the week is $80.77 for 2 adults and 1 child and includes all food, household items, personal hygiene items etc. So I surprisingly made it through another month under budget. Thought I would be over due to the Christmas baking and the food I made for our family get together. I also bought a few finger foods for New Years which I don’t normally buy. For next year, my goals are to try to make more homemade food as opposed to buying convenience foods, use more coupons, and to eat out a bit less. I am liking the new way we will be doing the Grocery Game challenge for 2013 with keeping track of the budget over the year. Hope everyone has a happy New Year!! Well hadn’t planned on spending much this week…..but we decided to throw a last-minute birthday party for our sons first birthday as I managed to get the weekend off last minute so had to purchase extra food for the party. Included th food in my grocery budget which has caused me to go over. When I write my budget this week I think I will have to make a birthday category. I managed to buy a tablet for myself on boxing day which was my Xmas and birthday gift foyer myself from hubby. He had a 100 dollar gift card from work and I had the same from My work so only came to 125 out of pocket for a really nice one. Also picked up a new tree as our this year was ready to retire. A 200 dollar tree for 55. And new decorations all under 20 dollars. Here’s my shop. So I was only over this month by 16.84. Not too bad considering my cleaning cupboard was empty and most of the stuff I bought was for the party. At least now I will make sure to plan ahead. Sometime you can’t help things last-minute. Woo hoo and hopefully I will continue to save next year. By the way…no there is no Boxing Day in the US. with at least 4 no shop weeks per year! We have spent this month = $47.29+ $130.47= $177.66 for the first 3 weeks of December so we are still $35.16 OVER at the end of this third week in December. I had some funds set aside in our vacation budget for restaurant meals while we were away so I used $55 of those funds to purchase both a fruit and vegetable platter to take to our Christmas dinner with friends. Seeing as it didn’t come to our house, I used the restaurant funds and didn’t count it in as a grocery shop. To me, it’s like dining out. I also plan to have a New Years Eve lunch with Larry’s mother & sister…that wasn’t part of the plans when we were going away either but the “vacation restaurant meals” budget will cover that too. 1 pkg rice flour $2.89 – next time I will do bulk! This week we spent $18.34 + $ 5.00 + $16.16 = $39.50 and are therefore we are UNDER $8.00 on the week. BUT, we have spent this month = $47.29 + $130.47 + $0.00 + $39.50 = $217.26 for the 4 weeks so we are $ 27.26 OVER for the month of December. I shop for 2 adults and a 2 year old toddler. Our budget is $100/week and includes baby items, laundry, health/beauty, etc. I am carrying over $160.45 from last week to use for Christmas. I noticed that I have $52 worth of PC Points I can redeem if I’d like! I tried your template this week but I found a lot of them not applicable to me so I omitted them 🙂 I do my grocery budget weekly instead of monthly. I did this when I first started budgeting as I didn’t know any better. I guess if it’s a problem I could start budgeting monthly for 2013. Yes that is correct so not a gift card you bought one that you received so it helps lower your total. The total spent so far (insert month) is simply to state what month we are in not when you shop. The total under or over spend put over $26.61 or under $26.61 or alternatively you can use +/- Same goes with the total for the month ..because I don’t know if you are over or under $187.06. You can budget an amount for the month which you do $400 and shop weekly that’s no big deal. 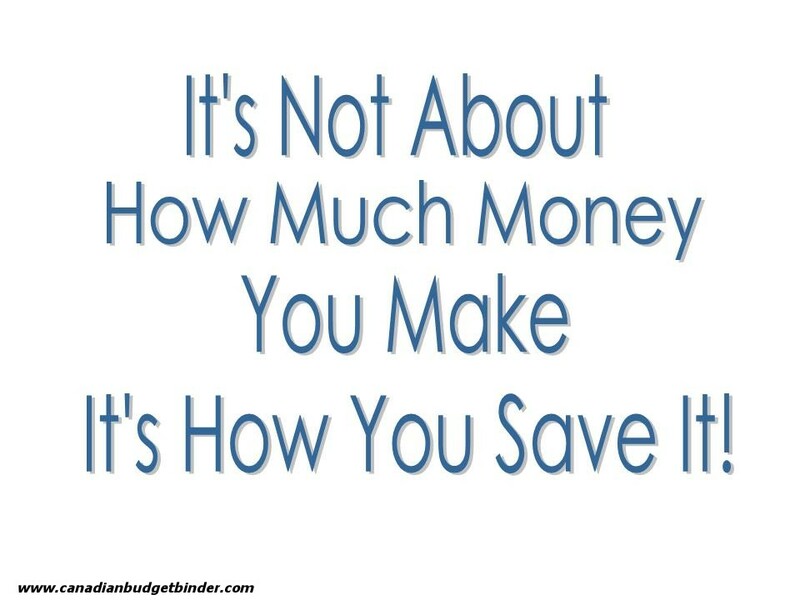 What are your plans for your grocery budget for 2013? You get ballot # 34! New GG for 2013 is going up tomorrow!!! Yay!! Mr.CBB Happy New Year to you and your family Jen!! Finally got the time to do this….All at Foodland as usual, didn’t get out of town. Total for the week- $98.04, so I was under $51.96, with $3.00 in coupons. This total puts me at over by $186.01 for the month. Ouch!!! Really need to work on this!!! I’ll try to get one of the boys to load the template you would like us to use. See where that gets me. I made stock with the remains of the turkey and got 4-3 cup containers of stock plus the bags of meat so that is nice to have in the freezers. My plan for the new year I think, is to try to stay the same amount or less while still stocking up but trying more recipes to add variety to the menus. See where it gets me but if I have to revise it later so be it. If I can hold the line or less through the year maybe I can do some stocking up for the holidays as we go along so it isn’t such a hit to the budget…..
Last shop of 2012. I had 44.71 remaining in my $350 monthly budget, which includes food, dog food, and household items for a family of three plus two dogs. Well I crashed and burned. Pull out the bamboo shoots. I spent too much on Christmas dinner this month and had to buy dog food twice because we are leaving town. We aren’t quite out, but I didn’t want the dog sitters to have to worry about having to buy some while we’re gone. I also had to buy some toiletries that I haven’t needed for a while. The good new is that I shouldn’t have to buy any dog food next month. I am going to take this overage and subtract from next month, so I only can spend $275.26 in January. Game on. Sounds like a great way to reduce the grocery bill! Happy Boxing Day Mr. CBB! Mmmm leftover turkey sandwiches with gravy on top! Always a holiday favourite. I can barely manage to eat though with all of the rich things I’ve had over the past few days! Time for me to get back to routine, that’s for sure.. I don’t stay in the loop very well, so forgive my stupid questions. Is this “boxing day” thing only in Canada or is it in the US as well? I’ve never really heard of it until a few bloggers mentioned it recently. It’s nice to hear that you saved some money though! I wouldn’t have gotten up at 6 AM either but maybe they do that so the people that do have to work can get in early and get a few days before they have to go to the office. I presume it’s in the USA as it is in the UK. It’s basically the day after Christmas sales where retailers slash prices.. we picked up some great deals!!! Next year I shall be using your template. Till then deal with my own here. Family of seven with budget of $300. a month, two dogs and two cats. I would love to have done some special shopping yesterday but cannot muster the crowds of cars, people , line ups. The anxieties of it all would make me sick on the spot. However I did have to take my elderly parents grocery shopping at No Frills at 10am ( opening time) and It was dead there. Dad got all kinds of specials on sale including a lot of different nuts, and pies. He has dementia and loves to purchase enjoyable things. I spent the trip with two small children returning items out of his cart. He already has three pies in the freezer doesn’t need more! We don’t celebrate the holidays with gifts but rather family time. My family gets together on the 29th and 30th all pot luck meals, with lots of free activities like hiking, pond skating,skiing, making snowman, and sitting around eating dad’s nuts.With huge families this is the way to go. Yes that’s fine. I’ll be posting the grocery game on Monday next week as I have a $100 Cash Giveaway and post on Tuesday so I swaped the posts out. You will read all about our grocery budget changes on Monday in the GGC and on Tues our family budget updates with the contest. We didn’t get much for boxing day and really we went to Sears and value village just quieter places. I think it’s great you don’t have gifts during the holidays it not only is less stress but really stresses the value of family and love. Happy New Year to you and your family and I hope you are as excited for 2013 as I am!!!! Ya! Cheers Mr.CBB you get ballot #29! We love us some leftovers as well! Hope you had a great holiday! All i got in boxing day specials was the laundry stuff Canadian Tire had on for 2.99….got 2 and had coupons to bring it down to 1.99, plus some tape for wrapping, a tree bag for next year and a seagrass basket for the livingroom. Had a $5.00 coupon from the little boxes of Lindt chocolates they gave out the last time they had the scratch and win coupons….. I’ll get to the grocery lists Friday or so after we make it home from London tomorrow…… Looking forward the recipe!!!! Did you take advantage of the spend $60 get a $15 spending card today? Recipe will be up soon!!! Cheers Christine! I would love to play the Grocery Game. Where do I make my weekly/monthly posts?